As an executive of the SFU Recital Society (one of the largest student-run clubs at SFU), I have been trying to persuade the other executives to hold a meeting at a Japanese restaurant, but I have not succeeded until now. This was partly due to the fact that the old executives got tired of all our previous meetings at Japanese restaurants (of which there were quite a few), denying the new executives the chance to go on these very special occasions. At last, the good forces won and we made it to Sushi California for a late lunch. Sushi California, a Korean-run restaurant, is perhaps the busiest restaurant in the Lougheed area and attracts a lot of locals and SFU students with its low prices and passable quality. 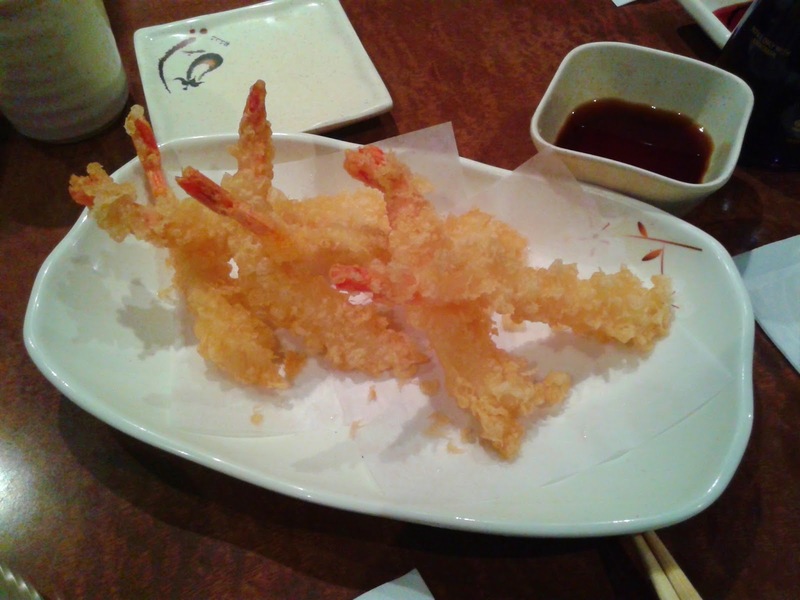 Next, I tried a piece of Kristian's Prawn Tempura, which was quite crunchy and haphazardly arranged on the dish. It had a nice buttery sweet flavour from the prawn. He wasn't going to let me have it for free, but that's okay because we all know that there is no such thing as a free lunch. The Fresh Hirame Nigiri (flounder) was soft and had a smooth surface reminiscent of ika (squid). 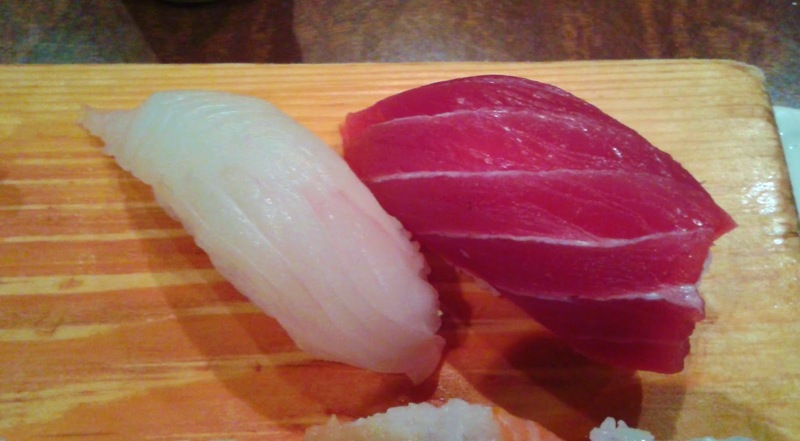 It tasted predominantly sweet, and had more flavour than the Red Tuna Nigiri, which was almost tasteless. The red tuna had a visually appealing dark red hue, but was very stringy and had perhaps a bit too much rice. The Alaska Roll was the only roll I ordered myself and contained cucumber, avocado, masago, mayonnaise, salmon, and a vinaigrette dressing. The pieces of salmon were rather thin and small, but I guess that's what you get for a roll costing $3.95. Also interesting was the fact that each piece was twice as tall as it was wide. The best part about this roll was the sweet vinaigrette dressing and avocado pairing. 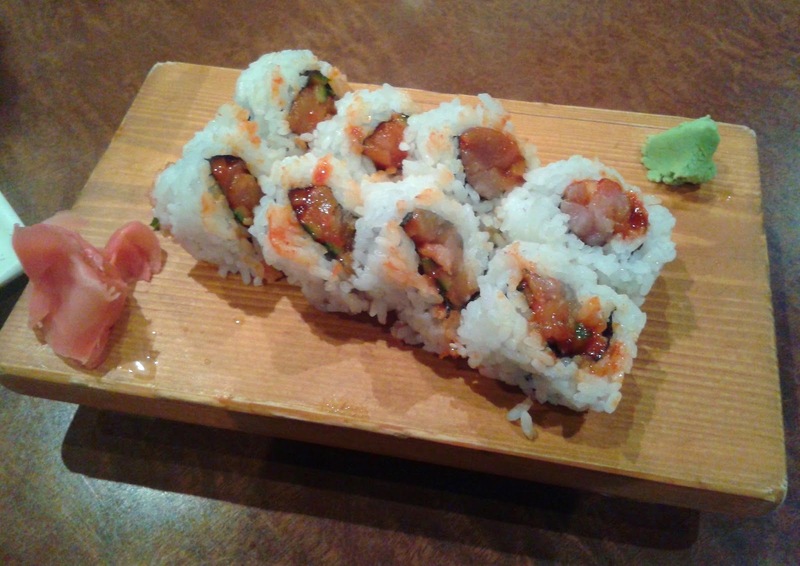 The Chicken Soboro was a new addition to Sushi California's menu. I ordered it to find out what a soboro was (as I have never seen it on a menu before). 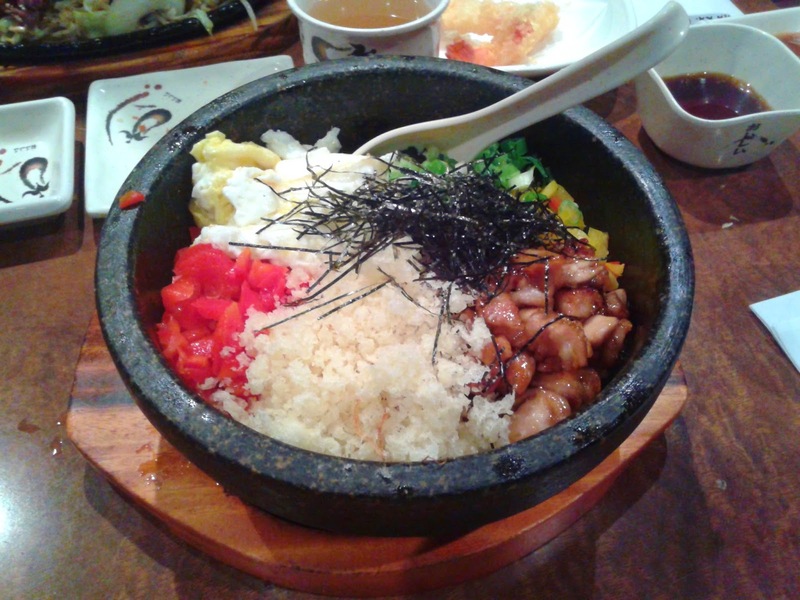 It came with seven toppings (chicken, tempura bits, red bell pepper, egg omelette, green onions, yellow bell pepper, seaweed) as well as rice in a stone bowl. The rice absorbed some of the flavour from the egg. My favourite topping was no doubt the chicken, which was tastefully grilled and dressed. I wish there was more of the chicken, but I also enjoyed the crunch of the tempura bits. We barely received any service (other than the necessary acts of taking our orders and handing us our food), but then again, I can't exactly recall a time when I got good service from a budget Japanese restaurant with ten dining companions. The service from Sushi California was better for the times I visited all by myself. And as for our meeting ... well, I was too busy enjoying my food, but I will make a wild guess that it was very "productive." Though I never liked sushi too much but once I tried sushi at Las Vegas restaurants and I just loved that. Till that day I am looking for the recipe to make same sushi. Hope you’re sharing will work for me. I try my best to list the ingredients of every special roll I have so I hope those can give you some guidance. I have never been to Las Vegas, but now it seems like I must try the sushi there if I visit!